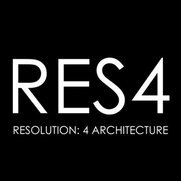 Founded in 1990 by Joseph Tanney and Robert Luntz, Resolution: 4 Architecture is a firm dedicated to addressing 21st century conditions through intelligent architecture and design. The firm consciously takes on a perspective facilitating the conditions required to develop sustainable methods, strategies and solutions for the current and long-range conflicts and changes facing our dynamic communities. They seek to investigate, re-investigate, work with the palpable, illuminate the obscure and understand the composite interface of architecture, its user and its context. Resolution: 4 Architecture’s design preoccupations have included two-dimensional and three-dimensional pattern making and ceilings as landscapes. 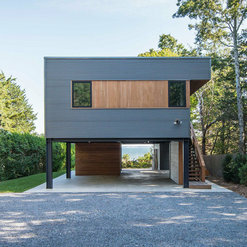 Most recently they have undertaken The Modern Modular by Resolution: 4 Architecture, a systematic methodology of design that attempts to leverage the existing methods of prefabrication of residential construction. 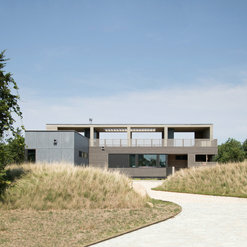 Their efforts seek to offer the option of “mass customization” to the single-family housing market while aesthetically transforming the sub-urban fabric of America’s domestic landscape. 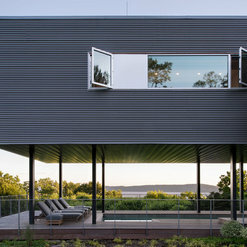 The Modern Modular by Resolution: 4 Architecture has been exhibited in the Walker Center of Art in Minneapolis, and Bruce Mau’s Massive Change touring nationally. Television appearances include HGTV, The Travel Channel, DIY, CNN, the CBS Morning News and ABC’s Nightline. 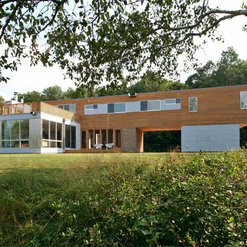 Their work has been featured in The Wall Street Journal, The New York Times, Time, Wired, Newsweek, Architecture, Architectural Record, Architectural Review, Domus, LaRCA, Interni, Residential Architect amongst many other notable publications. 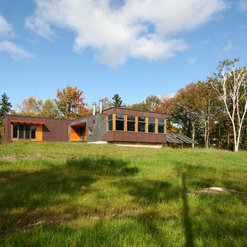 We had this really unusual and beautiful piece of land in Ct. Nothing on it, no electricity, no water, no driveway even. 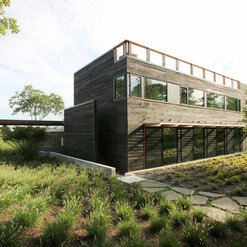 We looked up and spoke with architects but decided to work with Joe Tanney and Rob Luntz at Resolution: 4 Architecture. 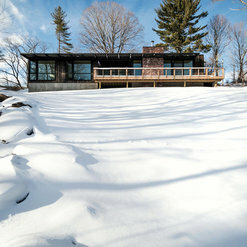 First of all, we loved the idea of pre-fab and then, when we talked to Joe and Rob we were immediately smitten. The decision was so easy - Joe is just a font of ideas, they come to him like breathing - he just had all the qualities for someone we wanted to work with. He is an amazing listener, he got our aesthetic right away, he is non-stop with ideas and I think his brain works in 3-D and so he fine tunes things and pays attention to details of living and every day life in an awesome way. We had a lot of curve balls thrown at us from the town and because of the way the property was situated and just because of nature - but if we ever needed a boost of confidence to keep moving forward, Joe always gave great advice and handled all problems in such a wonderful, seamless way. We still marvel at how perfectly the house was placed for the sun and the birds and and the trees and for our privacy and comfort and for entertaining friends, too. There are few words to describe the fantastic partnership that I had working with Resolution: 4 Architecture, on the renovation of our duplex loft in NYC's Union Square. I enjoyed a wonderful creative collaboration with Joe Tanney on the design of the space. 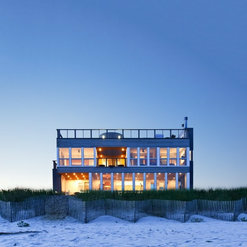 I experience was a perfect balance of Res:4 generating + designing great ideas, combined with a willingness to both listen and closely work with me (as a designer, I had a clear vision for the home I wanted for my family - and there was always a pragmatic lens on ideas when it came to timing + costs. The weekly meetings and site visits were a pleasure (this is also thanks to our contractors, West Village Contracting, who were equally great), and the loft is amazing. If you are thinking about renovating your space or building a home from scratch, I would do yourself a favor and get in touch with Joe and Rob, the principals at Res:4. 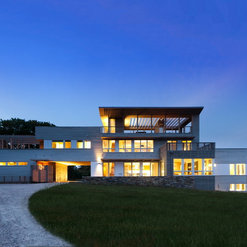 Joe, Rob, and their team at Res4 were great to work with designing and building our house, the Peconic Bay House on Long Island. From mornings at their worktable going over the design to site visits on our land and in the factory, they were attentive, professional, always listening and responding. 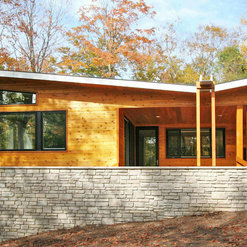 Together we built a unique and beautiful green home. I hope we can work together again someday. working with joe and rob of re4a was a pleasure--fun!- from beginning to end. they listened and delivered exactly what we needed and we LOVE our house. 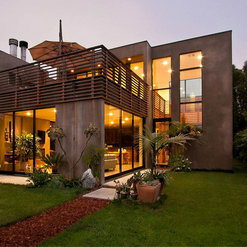 they bleeded form and function beautifully and integrated the inside and outside so that light and air abounds. the breezes are captured making AC rarely necessary.. Oun pleasure is always enhanced when we share our home with others who always seem to appreciate it as much we do. Commented: Photo queryHi Suzanne, sure! Please email info@re4a.com. Thank you! Commented: Cabinet SpeciesHello - These are Merillat Masterpiece Maple Cabinets. Commented: Paint colorsHello - All of the walls in this project are Benjamin Moore Super White. Commented: media cabinetHello - That run of cabinets is ~12 feet wide. Commented: How are the high windows opened?Hello! The high windows are not operable. They're fixed windows. The lower/larger windows are operable casement windows for ventilation. 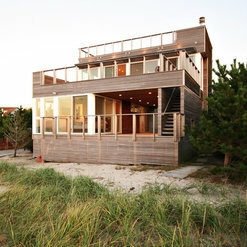 Commented: this silver Ipe deck is perfect do you seal or stain?Hello! We leave the ipe natural and untreated - it will silver like this on it's own.